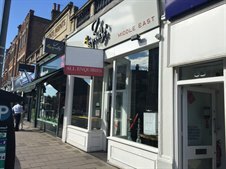 Cattaneo Commercial have just secured the sale of 82 High Street, Wimbledon Village, SW19 5EG to an investor. The property comprised a single storey A3 Cafe unit of some 1,075 sq ft with a small rear yard and attracted strong interest from investors. As a result a figure significantly in excess of the asking price was achieved. There were a number of disappointed purchasers so if you are considering selling your building in the Village, please contact Andy Armiger at Cattaneo Commercial on 020 8546 2166.